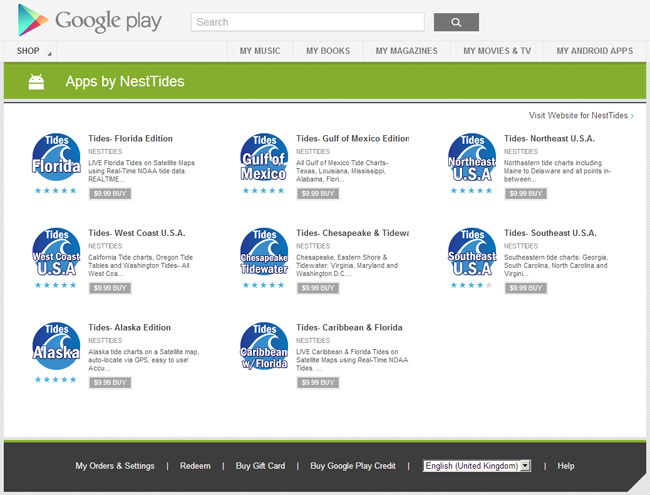 NesTides builds Satellite Map based Live NOAA tide tables for Android and iPhone mobile devices. Our mobile tide software covers the entire United State’s Coastline split out by specific regions on the US Coastline. This allows us to overlay satellite imagery and pinpoint tide stations specifically designed for fishermen and boaters using the actual area they are fishing and boating. Android Versions also includes optional Pro features like: Current and weather forecasts, satellite weather and photo sharing. We are avid watermen, so we wanted tide charts specific to the area we are in and satellite imagery specific to that area. Our tide apps also pinpoint your GPS location to show you the closest tide stations and satellite imagery. We are proud that fishermen and boaters have set our satellite based tide tables as the industry standard in this tide chart display technology and we invite you to try our tide software for your device. 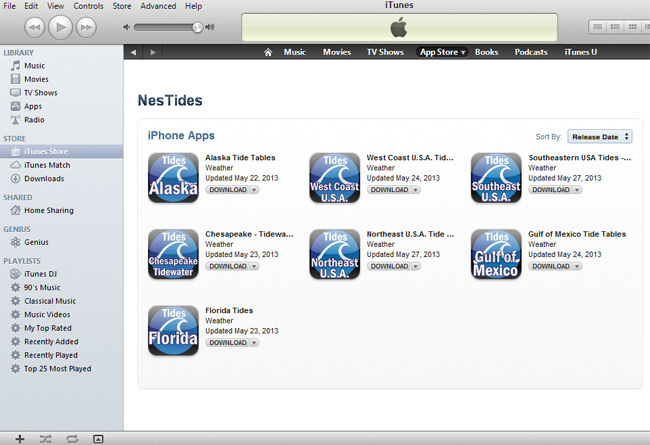 Popular fishing & boating magazine, Skiff Life has in fact voted Nestides the #1 Tides & Weather app 2 years in a row. Stations found in our Florida Tide Tables edition. Stations found in our Northeastern Tide Tables edition. Stations found in our Gulf of Mexico Tide Tables edition including Texas tides Stations, Lousiana tides Stations, Mississippi tides Stations, Alabama tides Stations, and Florida tides Stations. Stations found in our West Coast Tide Tables edition including Oregon tide tables, California tide tables, and Washington State tide tables. Stations found in our Chesapeake, Eastern Shore & Tidewater Tide Tables edition including Maryland Tide Charts, Virginia Tide Charts, Washington D.C. Tide Tables. Stations found in our Southeastern U.S. edition including Georgia tides, South Carolina tides, North Carolina tides and Virginia tide tables. Stations found in our Alaska edition including portions of British Columbia, Canada. Stations found in our Caribbean Tides edition including Bermuda, Bahamas, Cuba, Bahia de Cienfuegos, Jamaica, Haiti, Dominican Republic, Puerto Rico, Lesser Antilles, Virgin Islands, St. Croix Island, St. Thomas Island, St. Johns Island and the Florida coastline.